Minnesota Women’s Press has awarded a 2018 Changemaker Award to Asma Mohammed, Advocacy Director of Reviving the Islamic Sisterhood for Empowerment. The annual Changemakers issue honors individuals and organizations in Minnesota whose actions have promoted greater equality, justice, or self-determination for women and girls. Cultural Jambalaya has awarded a 2018 Diversity Award to Reviving Sisterhood for our Muslim Sheroes of Minnesota storytelling project. The Diversity Awards honor four inspirational Minnesota champions who have made a positive difference by advancing multiculturalism or cultural diversity in their communities. Alongside Reviving Sisterhood, Indian Education Department at Minneapolis Public Schools; Nathaniel (Nate) Beulah of Northeast Middle School; and Aaisha Said, Ben Herstig, Miranda Shapiro, & Ilham Nur of HHS Responds at Hopkins High School received awards in 2018. The Best Shorts Film Competition has awarded its prestigious Award of Merit to Reviving Sisterhood Filmmaker Ariel Tilson. The award was given for Tilson’s digital short, Muslim Sheroes of Minnesota: Valerie Shirley. The Best Shorts Competition recognizes film, television, videography and new media professionals who demonstrate exceptional achievement in craft and creativity, and those who produce standout entertainment or contribute to profound social change. We are honored that Best Shorts recognizes the social change that the Sisterhood is aspiring to create. 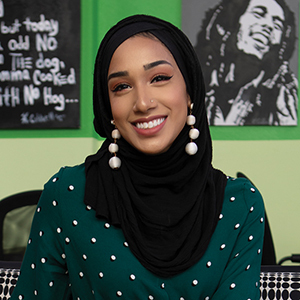 Our Muslim Sheroes of Minnesota storytelling project provides positive, realistic imagery in order to change negative public narratives about Muslim women. In winning a Best Shorts Award, Reviving Sisterhood joins the ranks of other high-profile winners of this internationally respected award. From the Heart Productions has named Reviving Sisterhood’s Muslim Sheroes of Minnesota storytelling project a finalist for the Summer 2018 Roy W. Dean Grant Award. Roy W. Dean Film Grants fund independent feature films, documentaries, web series, and short films with small budgets that are unique and make a contribution to society that, without the help of the grant, might otherwise never get made. There are three Roy W. Dean Film Grants available each year for spring, summer, and fall. Winners receive a cash award as well as goods and discounted services offered by film industry companies and professionals who care about getting good films produced. There are 20 films remaining in competition for the summer 2018 grant. From the Heart Productions is a nonprofit whose mission is to help indie filmmakers get film funding. Since 1993, the organization has assisted hundreds of documentary, feature, short films, and web series in getting funded through their Roy W. Dean Grant, Fiscal Sponsorship Program, and Intentional Filmmaking Class. From the Heart believes that independent filmmakers, who devote most of their time to the creative process, need help when it comes to raising money. Minnesota Women’s Press has awarded a 2016 Changemaker Award to Nausheena Hussain, Executive Director of Reviving the Islamic Sisterhood for Empowerment. Nausheena Hussain has a quiet composure, sitting at the back of the Daybreak Bookshop on the University of Minnesota campus, surrounded by books about cultural change through individual empowerment and the female voice. As she explains how she and other Muslim women are becoming connected and engaged, her enthusiasm bubbles over. "We need to be visible, taking action, in order to have a more significant impact." RISE increases visibility and engagement of Muslim women by empowering them to participate in political caucuses, advocate to their elected representatives, defend themselves, act as delegates and election judges - and gives them the tools to take their own action.